Kutapira plays a high energy fusion of Zimbabwean-style melodies with West African and Latin American rhythms, creating an original sound guaranteed to make you move. This dynamic local band performs a mix of original and traditional compositions on wooden marimbas, congas, djembes, drum kit and more. Their music brings smiles to faces both young and old, helping to connect people with their tribal inner-self on the dance floor. CircusWest is excited to perform at the Richmond Children's Arts Festival for the 6th year running. Since 1985, CircusWest is a circus leader in teaching and performing throughout BC at fairs, festivals and community and corporate events. CircusWest boasts the largest dedicated circus training facility in Western Canada with classes and workshops for all ages, and levels. CircusWest also has a professional production arm which develops shows and entertainment for large scale events and collaborates with other large arts organizations. A child once described her as “…way more better than t.v!” an apt description for this professionally trained humorist. 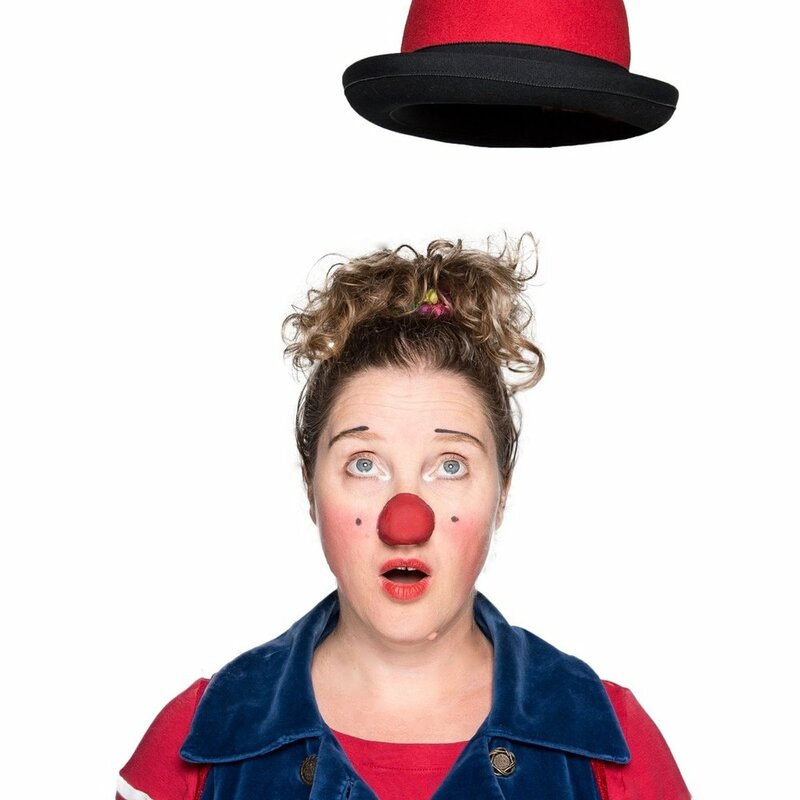 Over the span of her 20-year career, Melissa toured the United States on a circus train as the sole female clown in the historic Ringling Brothers Barnum and Bailey Circus. She has wrestled sharks in an actual duck pond and sets funny bones at BC Children's Hospital as Canada’s only clown Dis-Orderly. She courageously swallowed countless flaming marshmallows in an American touring show, and has, less courageously, juggled deadly machetes for an exhibit by famous contemporary Canadian photographer, Stan Douglas. She is now happy to call Vancouver, BC her home. Ginalina sweetens the mood, shakes the floor, and stirs the cutest of audiences with action-packed and modern folk-roots songs in three languages: French, Mandarin, and English! Winner of Best Children's Artist - Western Canadian Music Awards, a Juno nomination, and three Parent Choice Awards, Ginalina combines dance-offs, sing-alongs, and FOLK-tastic instrumental and vocal harmonies to inspire kids to respect themselves, appreciate the world, and be the best they can be! Tristan started kite flying at the early age of four. It was obvious from the beginning that he was a complete natural at this unique art. Progressing within a few short years to competing with seasoned master level flyers. Competing into his teenage years with unparalled success he then took his skills to the stage. Developing and expanding kite flying into an art form. Since then he has traveled the world performing for corporations in festivals and theatrical performances. Krystle Dos Santos has taken the classic soulful sounds of Motown and created. 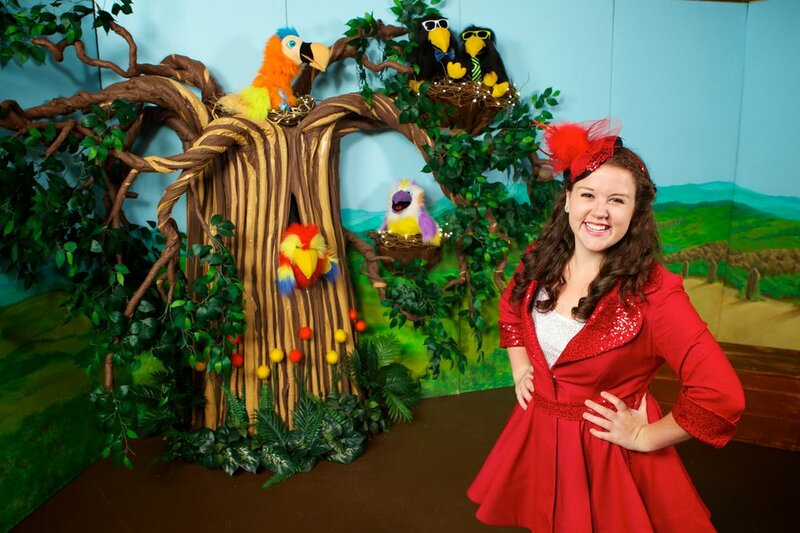 Show for kids and parents alike. With swinging grooves and infectious melodies, you’ll be moving and shaking to the sweet sounds of legendary artists like the Supremes, Stevie Wonder, The Jackson 5 and many more. Peter G-G is a circus artist, musician, and actor of over 30 years. He performs across Canada with professional theatre and circus companies, as well as in lead roles for stage, film and TV. Peter’s comically acrobatic and musical ground and stilt character include Cirque du Soleil’s Kooza promo; Pan Am Games Canada; Grey Cup 100 Toronto; FIFA World Cup; Olympics 2014 and many, many more. Led by composer/percussionist/bandleader Raphael Geronimo, Vancouver’s Rumba Calzada is an eclectic, powerful mix of salsa, jazz, and Afro-Cuban rhythms. Stirring up a mesmerizing Caribbean musical fusion, this JUNO-nominated “world class Latin band” (The Province) makes powerful and joyful music that’s guaranteed to bring the house down every time. STORIES on WHEELS is an original street theatre act for the whole family, based on a traditional Japanese travelling storytelling show called kamishibai (literally paper theatre). Tales are brought to life by a high-energy comic performer, using beautifully illustrated picture cards displayed in a magnificent miniature wooden stage attached to the back of a bicycle. You’ve never been told a story this way, before! MIDDLE EASTERN TALES include two stories that were created with Boushra Ghesen, a visual artist who recently arrived from Syria. The stories are accompanied by a musician playing the "oud", a stringed instrument similar to a lute that is common in Middle Eastern countries, with a very distinctive sound. Since 2008 Travis's critically acclaimed magic shows have won awards at theatre festivals across Canada and solidified his place as one of Canada's best. In 2015 he was a magic producer on YTV's Tricked, writing and designing magic for all twenty episodes. He also creates magic for other magicians, some of his work having appeared on America's Got Talent. 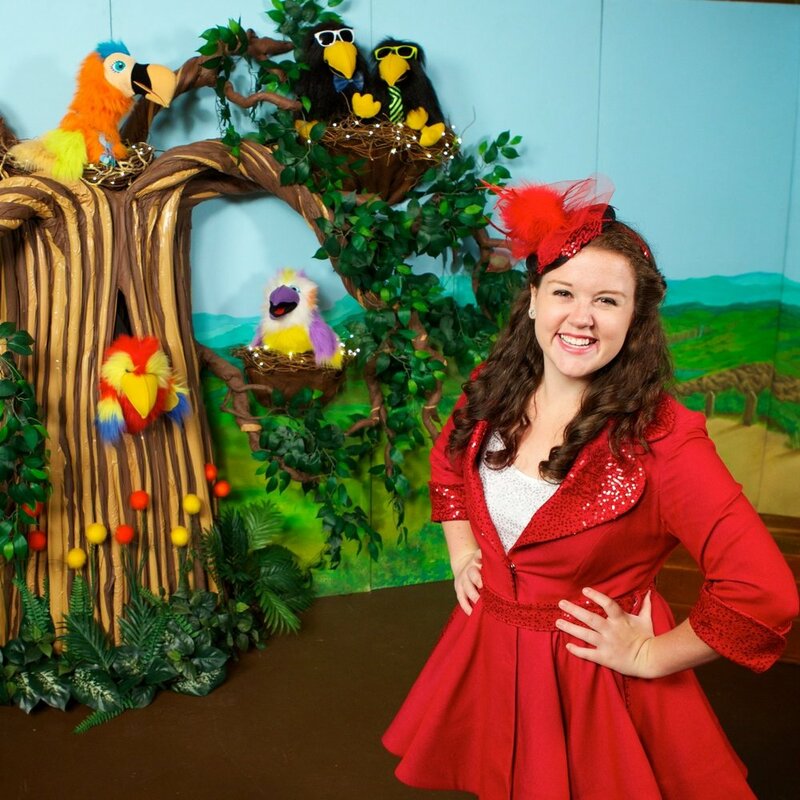 Rockin’ Robin & The Magical Tree is a true family entertainment production – literally – as show creator and producer, John Donnelly, has written the show with his family. John has been writing music and producing shows for over 40 years. He has written many of the original songs for Rockin’ Robin. The apple doesn’t fall far from the (magical) tree, as John’s daughter Naomi Dorras-Donnelly plays the lead character, Robin Redcoat, and writes original music as well. John’s son Terence and wife Joy are both puppeteers in the show, and John’s eldest son, Jordan, constructed both the live show and on screen sets. Shyama-Priya started fancy dancing at the age of 16. The Fancy dance represents the butterfly, the dance of transformation. She has taught and performed at various events, festivals and schools throughout the lower mainland and North America. As well as dancing Shyama-Priya also acts and models. She has been a guest dancer on various TV stations such as Urban Rush, First talk, My TV and many more. Her notable performances include dancing with world-renowned and world champion group The Native Pride Dancers, as well as being one of 16 dancers chosen from across Canada to dance along Brian Adams and Nelly Furtado, in the 2010 opening ceremonies. The mastermind behind her beautiful regalia is her mother’s creations. Shyama-Priya uses her gifts as a way to inspire others to live their dreams. Her passion of dance has ignited her passion for personal wellbeing and wellbeing for our mother earth.